Apple is all set to host its 2017 big annual event called "Worldwide Developers Conference". This will be the 28th WWDC 2017 event which will be held in San Jose, California (CA), USA from 5th June to 9th June at Apple's Spaceship campus with McEnery Convention Center. 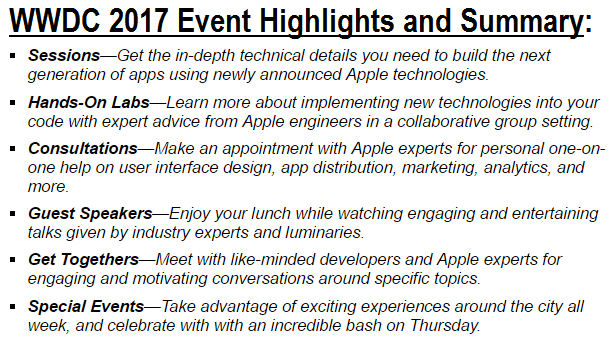 All the official WWDC 2017 conference event dates, time, venue, sessions, tickets, and registration details has been already announced by Apple, which is also available below for our readers and followers of #WWDC17. Apple's annual WWDC event is all about the release of beta previews related to iOS Firmware for iPhone, iPad, and iPod touch / macOS Software for Mac devices / watchOS for Apple Watches / tvOS for Apple TVs. So you can expect all new versions to be announced on that day, which includes but not limited to: iOS 11, macOS 10.13, watchOS 4.0, tvOS 11 and many more. Worldwide Developers Conference 2017 registration will be commenced from 27th March at 10:00 a.m. PDT. Tickets of WWDC 2017 event will only be available to those who will be randomly selected through lottery. The ticket price of WWDC 2017 conference is same as last year i.e. $1,599 USD. Apple's developers and engineers can start WWDC 2017 registration from official website Here. You must be an official member of Apple Developer Program or Developer Enterprise Program to get registered for the event. For information related to WWDC Scholarships, you can head-over to this Link. 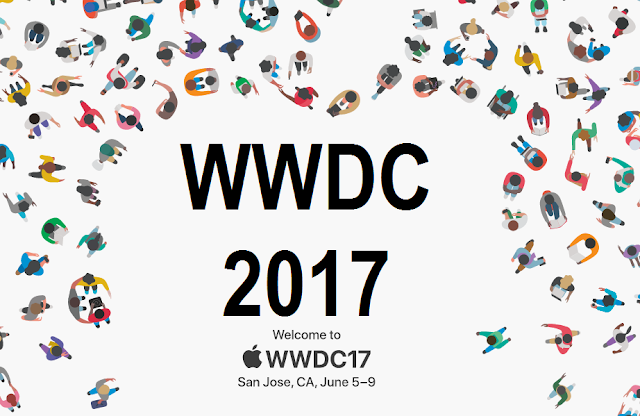 How to Live Stream WWDC 2017 Online? Just like previous years, Apple WWDC followers and general public from all over the world will be able to Watch WWDC 2017 Keynote, Sessions, Speakers, and Videos Online via Live Stream Link throughout the week by using the official WWDC Mobile App available for iPhone, iPad, iPod Touch and Apple TV and from official WWDC website. The WWDC 2017 Live Streaming will be available from 5th June 2017 at 10:00 a.m. PDT.